Once the quintessential spot for young love, the drive-in movie theater has by and large gone the way of the record player, a vestige of retro nostalgia. 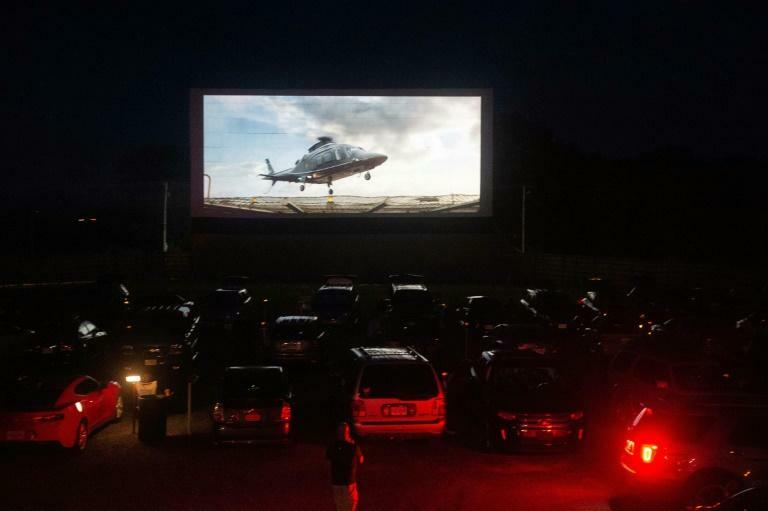 But despite the popularity of "Netflix and chill" at-home streaming sessions, some film-goers say the romance is far from dead: at one rural spot in Virginia, movie-goers looking for a trip down memory lane can get their fill of popcorn while enjoying a double feature under the stars. Patrons can view the big screen from the privacy of their cars -- perfect for the yawn-and-stretch move -- or outside for a "tailgate" party of the sorts that sees adults chit-chatting over snacks as kids romp on the playground. The Family Drive-In Theater in Stephens City -- 84 miles (135 miles) west of Washington -- is one of just 300 drive-ins still in operation stateside, down from 4,000 such cinemas in the 1960s when the concept peaked, becoming intrinsic to the fabric of classic Americana. "This is very financially beneficial for us as a family," said Debbie Williams, who came to the show with a pack of kids. "Plus it's different," she said. "It's being outdoors, it's the fresh air, looking at the stars and not being in a crowded place." Owner Jim Kopp says he's added contemporary features like FM stereo sound and digital projection to bring his Virginia drive-in in step with the times. 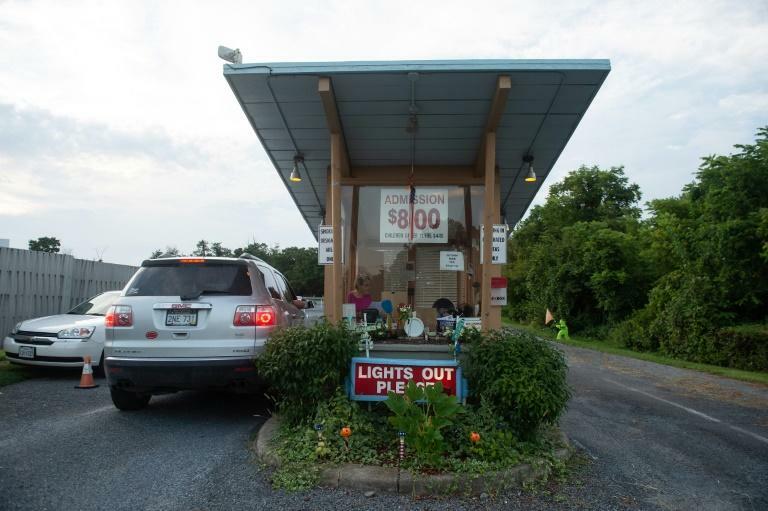 Traditionally a mainstay of the countryside, drive-ins have also started carving out a niche in urban areas. 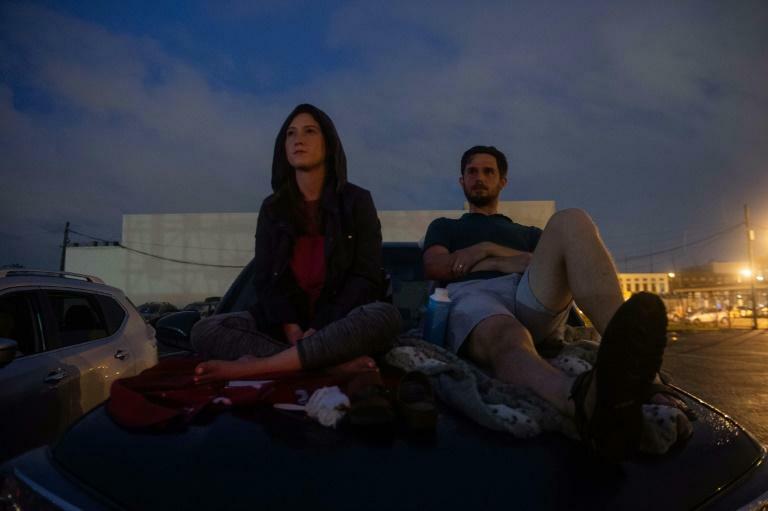 Once a month Washington's Union Market caters to those looking to scratch a nostalgic itch, screening films for people with cars as well as viewers with picnic blankets. The shows even feature waitresses on roller skates who glide through the crowds serving concessions. For teenager Josephine Crittenden, the drive-in was a relic she had only seen in mid-century films like Grease, which includes a classic date between the main characters that goes awry when Danny gets fresh with Sandy. Perched on her family's 1968 Bronco truck for a showing of "Black Panther," Crittenden says heading to the drive-in "seems like a special occasion." For her, the experience is all about the charm: "It kind of makes me feel like it's the old days."